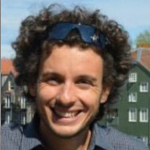 Dr. Marco Balduzzi holds a Ph.D. in applied security from Télécom ParisTech and a M.Sc. in computer engineering from the University of Bergamo. His interests concern all aspect of computer security, with particular emphasis on real problems that affect systems and networks. Some topics of interest are web and browser security, code analysis, malware detection, cybercrime, online privacy, and threats in the IoT space. He has been involved in IT security for over 10 years with international experiences in both industry and academia. With previous experience as security consultant and engineer, he is now a full-time research scientist at Trend Micro. With over 30 talks in major security events like BH and HITB, he is considered a veteran speaker. His work has been published in the proceedings of top peer-reviewed conferences like NDSS, RAID and ACSAC, and featured by distinguished media like Forbes, The Register, Slashdot, InfoWorld, DarkReading, BBC and CNN. He now sits in the review board of conferences, including HITB, OWASP, eCrime, DIMVA and IEEE journals.